Community is at the heart of the Canadian Premier League’s founding clubs. By the very nature of being a coast-to-coast top tier league, the CPL brings the beautiful game to new communities across Canada – cities where soccer hasn’t yet taken root at the professional level. But for York9 FC and Pacific FC, those community ties come with an added objective: these two clubs represent more than the pride and passion of a single city – they serve to bring many different municipalities and communities together under one banner. 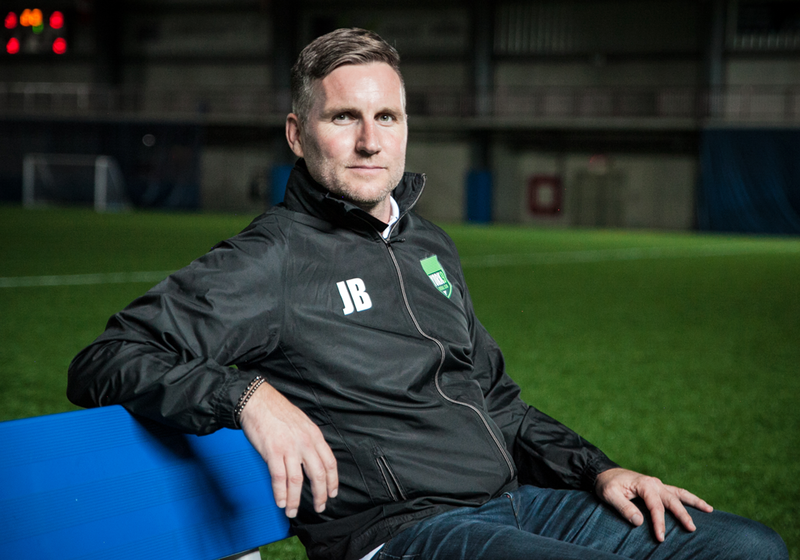 “There’s no way to bring a community together better than sport,” York9 FC head coach Jimmy Brennan told CanPL.ca. “I think it’s getting to the point now where York Region is starting to find its own identity of who we are as people. It’s a hotbed for soccer. The people are passionate about this sport. 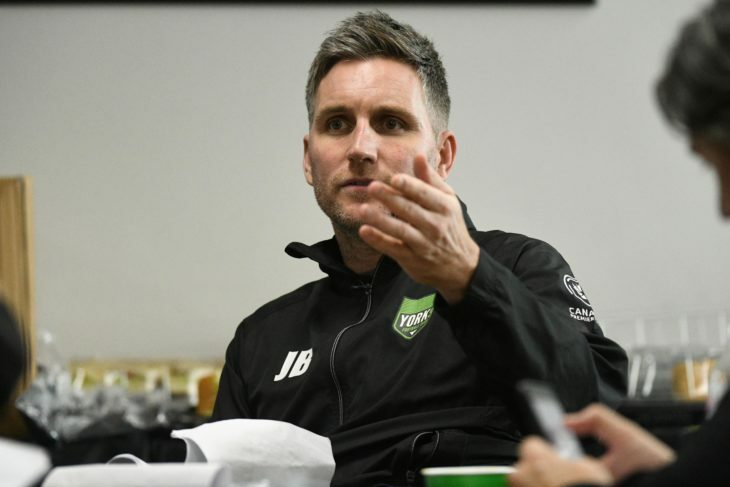 For York9 FC, the connection to the entirety of York Region isn’t hard to see: “It’s in our name,” Brennan points out, referring to the nine municipalities that make up York Region. “We’re going to go into every youth club throughout the Island and spend time getting to know the technical staff, the players that are in their clubs, the level of the club, and open ourselves up to be able to share resources and see where we can help and what we can do to try and raise the overall level of soccer and development on the Island,” Merriman told CanPL.ca. Both clubs share the unique challenge of unifying their respective regions to rally around one club, and as such, the outreach required from York9 FC and Pacific FC serves a dual purpose: beyond building bridges with youth clubs across their communities, these CPL clubs are also helping those regions distinguish themselves from their big-city counterparts, Toronto and Vancouver. It’s no easy feat, but highlighting the characteristics that make their communities unique – and integrating those traits into their own club culture – is the plan for Merriman and Brennan, both of whom grew up in their respective regions. York9 FC Director of Soccer & Head Coach Jimmy Brennan during the #GotGame Open Trials. Brennan pointed to emerging tech sectors in Vaughan, Markham and Richmond Hill, contrasted with quaint, old towns like Newmarket and Aurora, as providing the perfect balance of lifestyles within York Region. Still, soccer is the common thread in the region north of Toronto, where 55,000 registered members play the sport across 15 youth clubs. But among the nine municipalities, the stir of a new identity has started to become evident. “The (people here) are starting to say, ‘You know what, yeah, we are York Region: It’s time we have our own identity. We’re part of the Greater Toronto Area but this is our community and we’ve really got to build it up,'” Brennan said. He added: “You can see the passion. Every time we talk about the Canadian Premier League in our community, the true, passionate football people love what’s happening here in this country, they love the opportunities that are going to be provided for these young kids now to pursue their dreams and hopefully play for York9 in their own backyard.